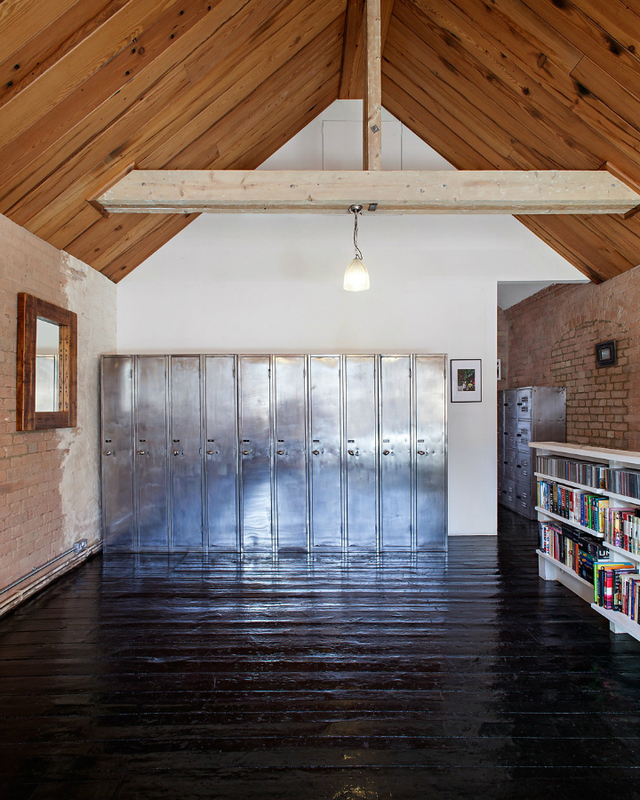 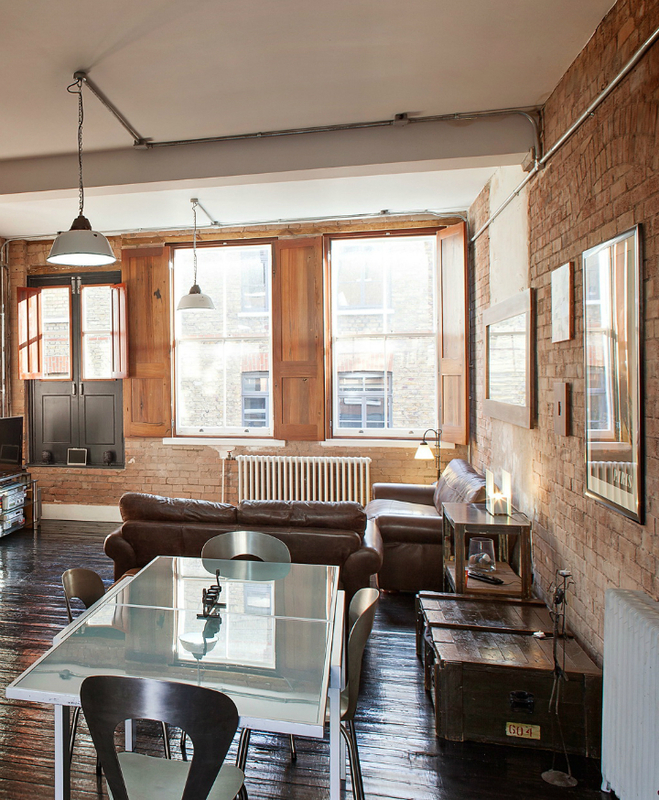 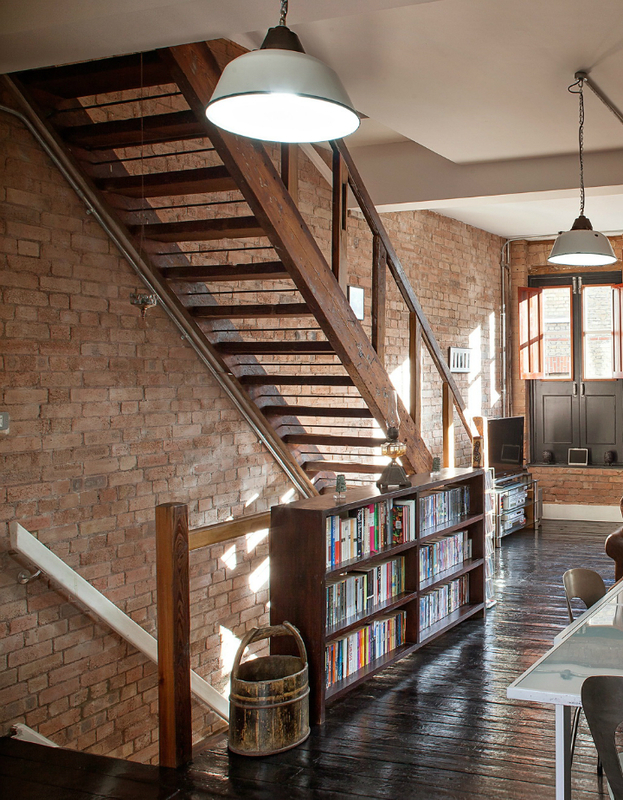 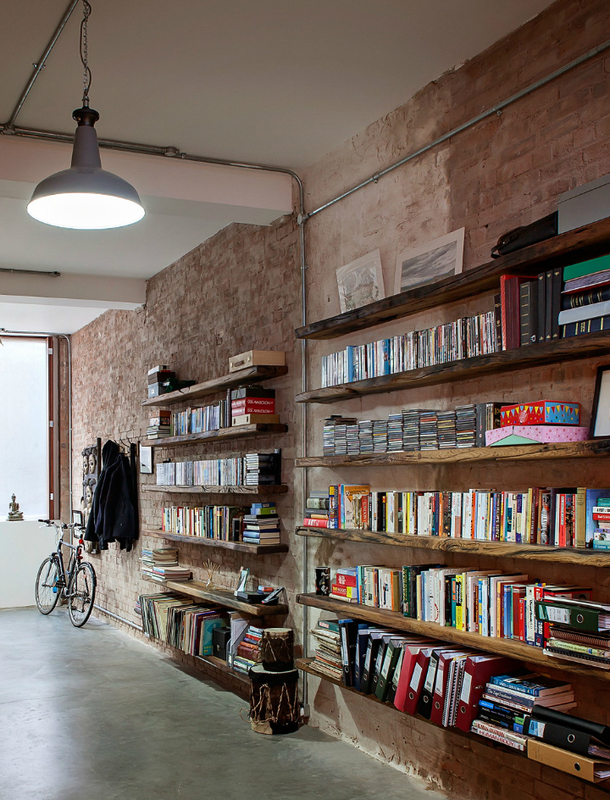 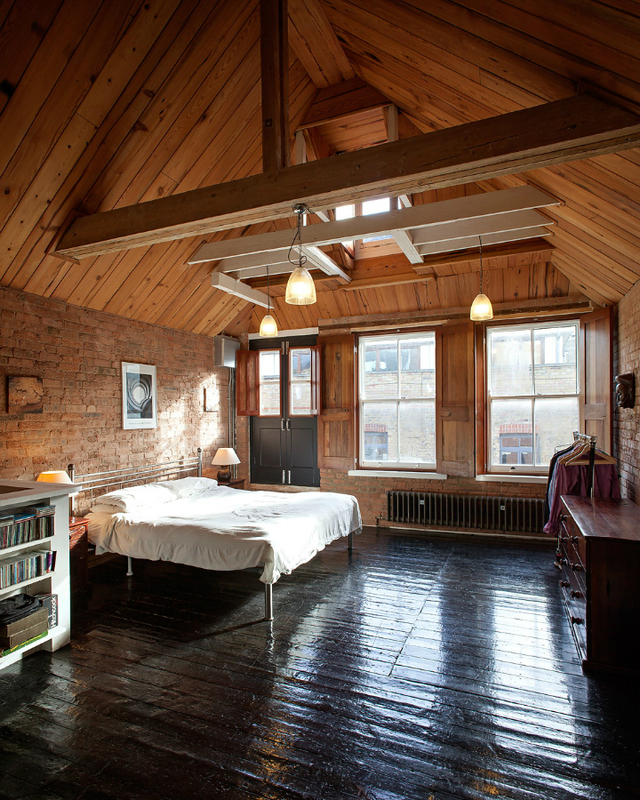 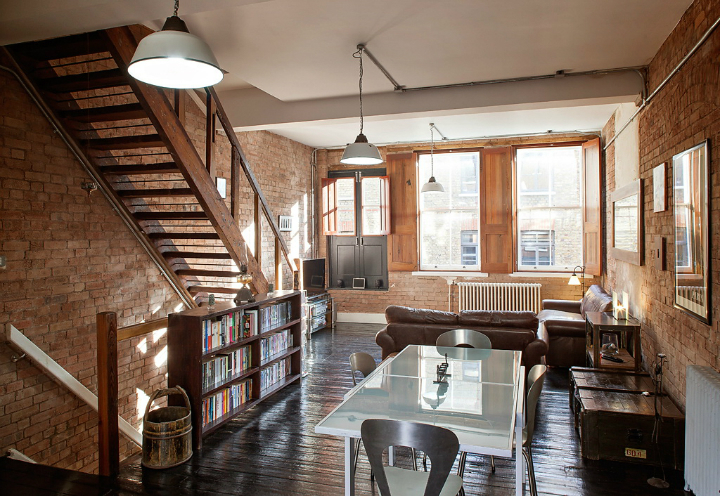 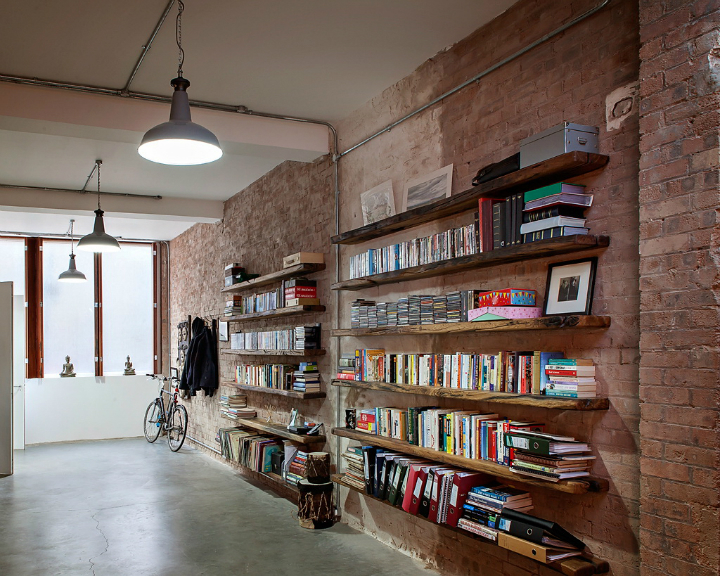 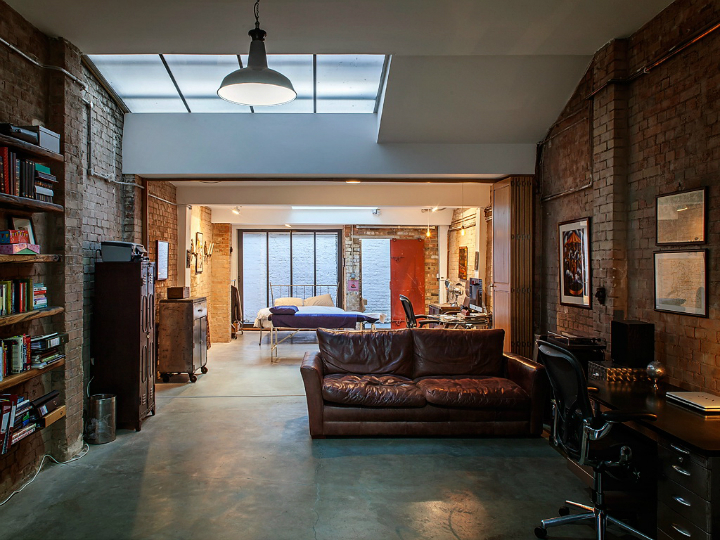 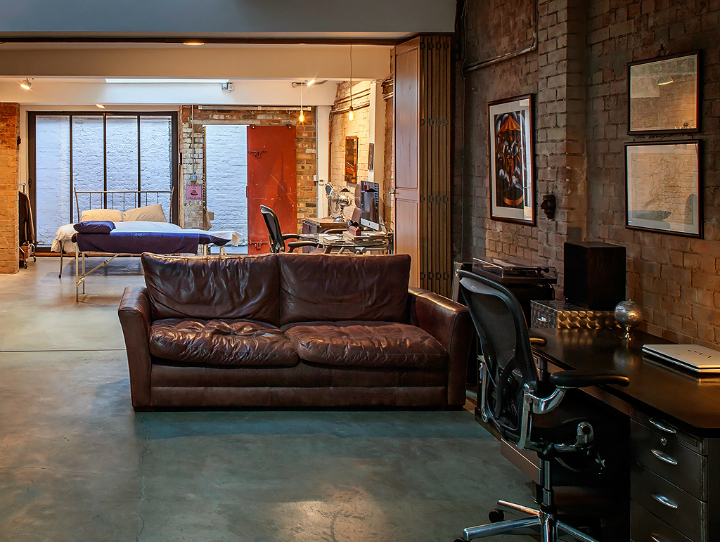 Chris Dyson turned a Shoreditch warehouse to create a family home. 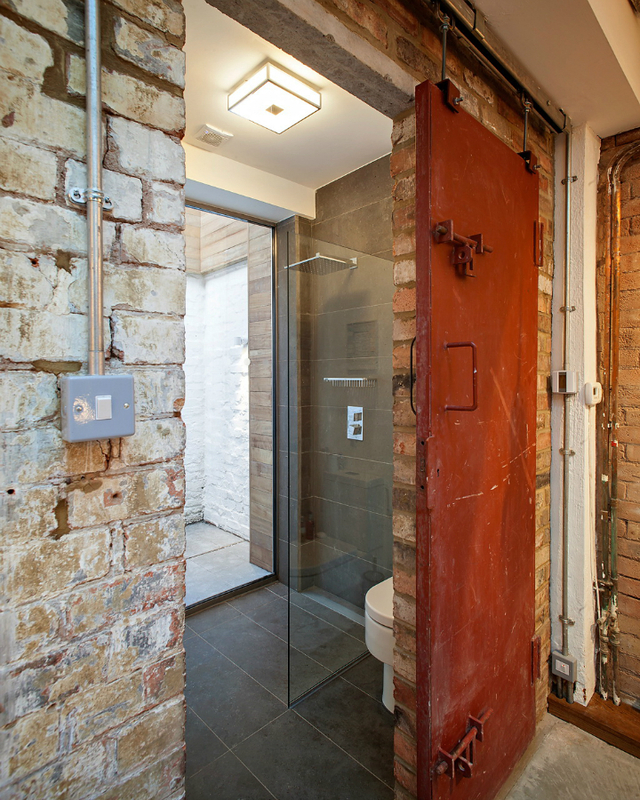 The proposal included the removal of a modern shed to the rear and a reinstatement of the courtyard at the rear of the property to bring natural light into the bedroom and en-suite. 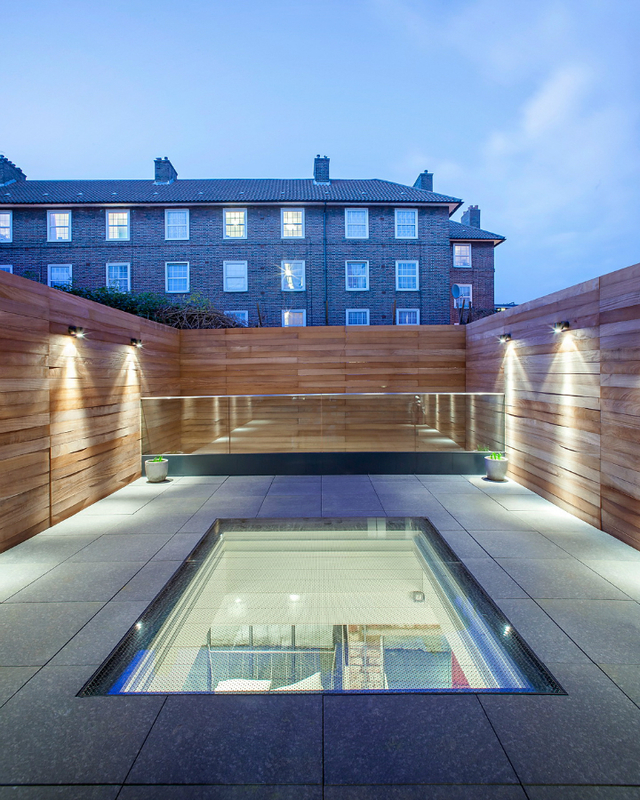 To bring light deeper into the ground floor study space an existing lantern roof-light was replaced, and the existing glass lantern was replaced with a walk-on glass roof-light fitted flush to adjacent finishes. 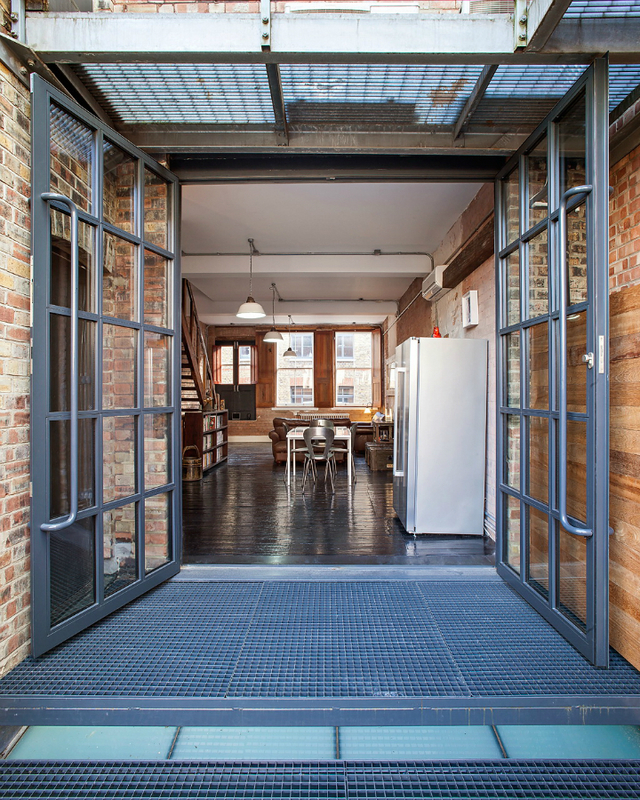 The windows to the living space were replaced with large format factory style door with perforate mesh steps onto the terrace. 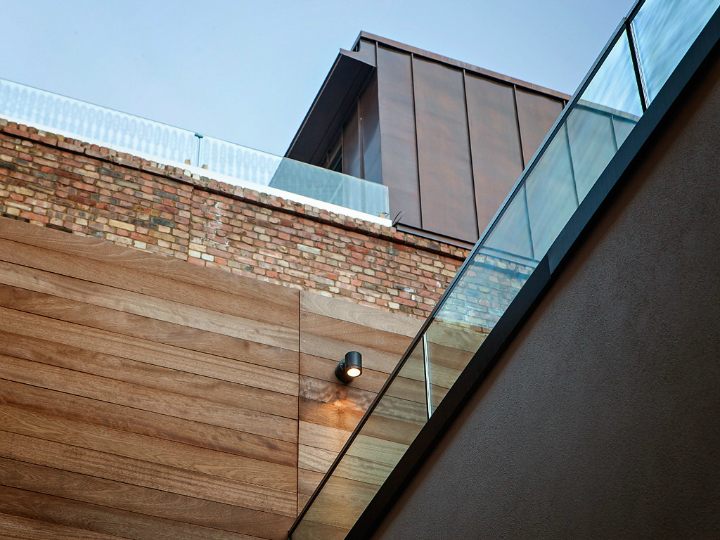 Inclined translucent panels installed below this bring light even deeper into the plan. 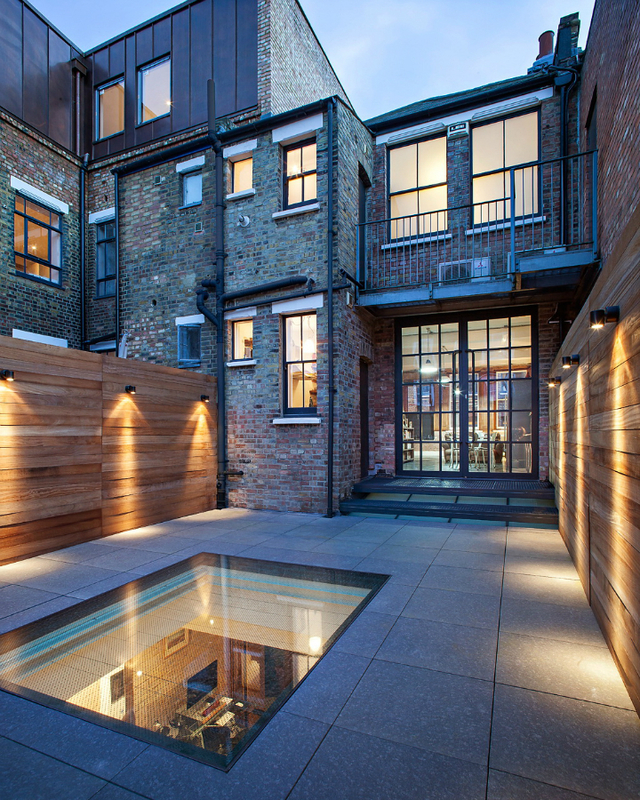 A new timber privacy screen was introduced to shield views and noise to neighbouring properties.